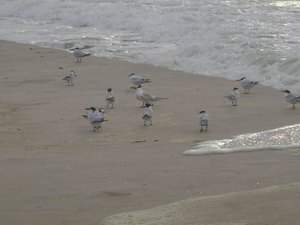 Royal terns have won my heart this summer on the beach. 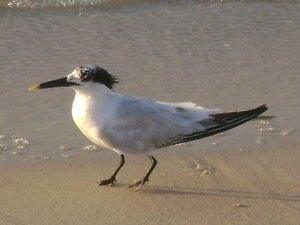 They are phenomenal fisher birds, and very entertaining in a group or on their own. 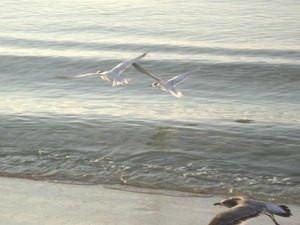 They are good beach companions - don't spook too easily as I walk by, but patiently let me snap a picture or two as I come up beside them. They have a funny way of primping up their little black top-knots when they are agitated, I guess, or maybe it's just the wind kicking them up. Anyway, they are comical to me. And restful. I've probably taken 100 pictures of them with my non-snappy little camera this summer while I was on my turtle walks. These are 3 of my favorites.